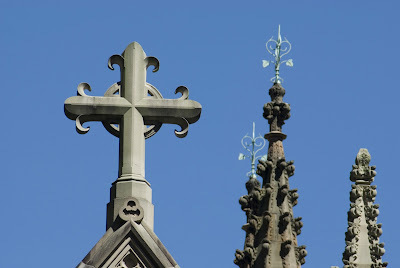 Here he distinguishes between two similar but crucially different ways in which the building is made beautiful: “decoration” and “ornament.” The two words are interchangeable in common parlance; he is using them here as technical terms that architects have developed in order to be able to describe two complementary aspects of a building that are necessary for its beauty. 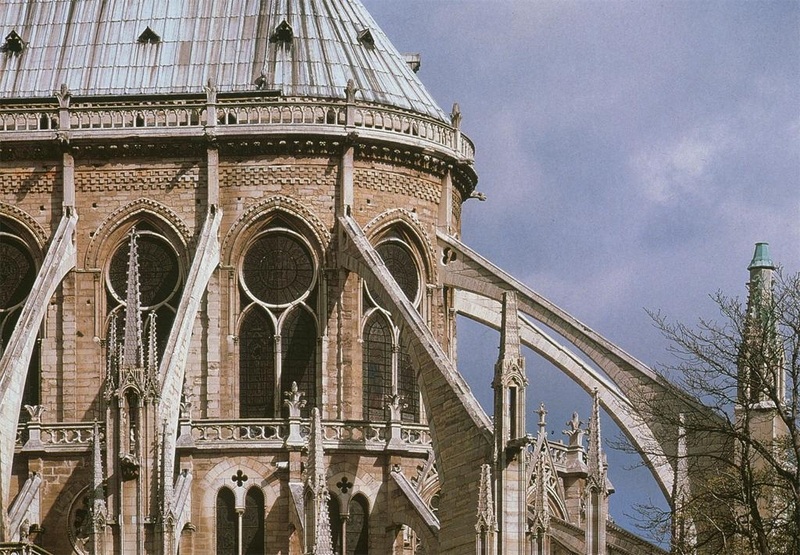 As Denis describes them, decoration is “poetic,” that is, beautifully applied adornment that reveals the structural elements of the building. This is to be distinguished from the modern architect’s desire to show the structural elements literally, almost brutally, without regard for beauty. The columns used in neo-classical architecture, for example are designed to reveal beautifully their load bearing function. 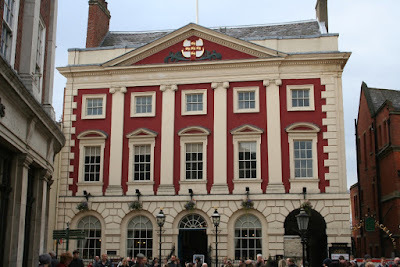 The church above is a Neoclassical design in Poland, while the building below is an 18th century civic building in York, England, that clearly points to and is derived from church architecture. Decoration and ornament are both necessary for a beautiful building, because they contribute to the form in such a way that they tell us what this building is. Beauty, remember, is the radiance of being: a property of something that communicates to the observer what he is looking at. 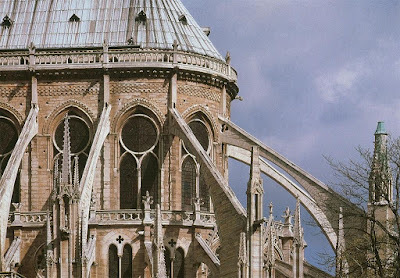 In the flying buttresses of Gothic architecture, it occurs to me, this distinction between decorative and literal in structural elements almost seems to disappear. Architects, please feel free to contradict me if I am mistaken; these are fully structural and literal in that sense, but they are also built in harmonious proportion. Might this represent the highest ideal for the architecture? Here is Prof. McNamara’s talk.